She didn’t think she’d like yoga. She didn’t envision herself as a small business owner. 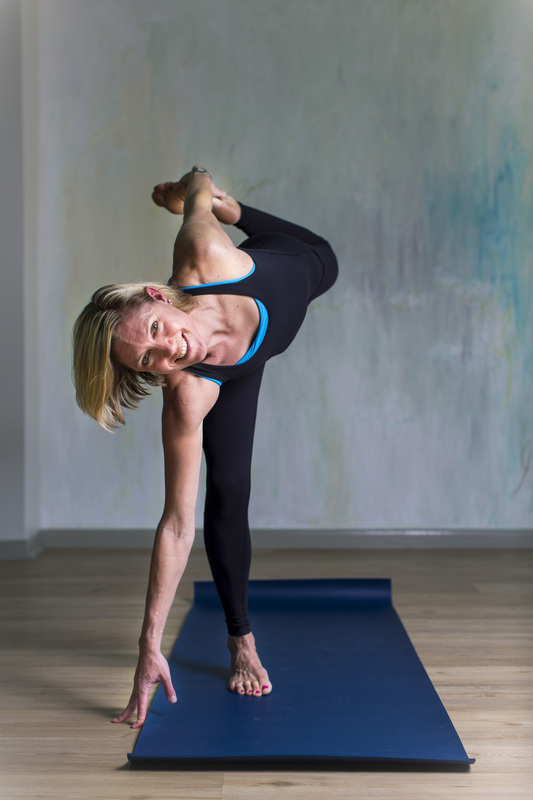 And yet here is Libby Ramsey, sparking a deep love of the practice across the Triad as the head of her own burgeoning yoga empire. 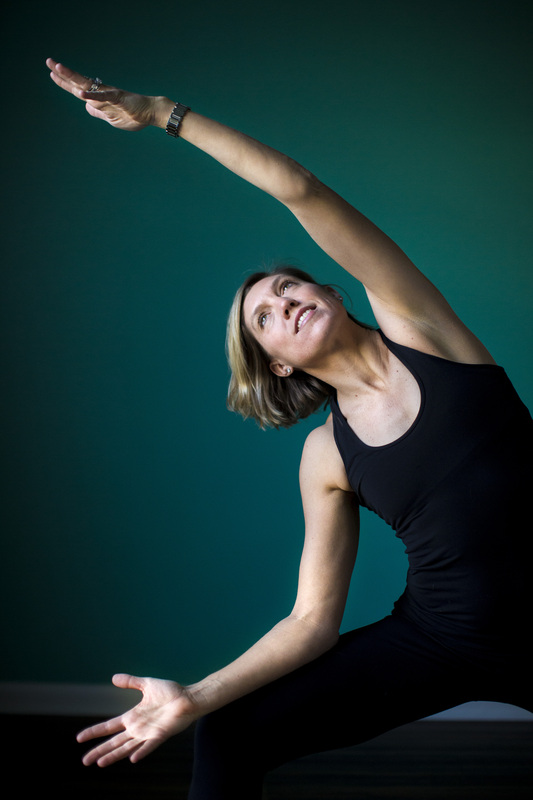 She’s the owner of Dancing Dogs Yoga Greensboro (DDYG), the Triad’s only Baptiste Power Yoga studio and one of only two businesses in the Triad that teach aerial yoga. In the 4 years since DDYG opened, the business has rapidly expanded. Libby now has 18 employees teaching 70-plus classes a week, plus yoga retreats and other programs in the community. This is not how the Baltimore native and mother of three young children through life would turn out. 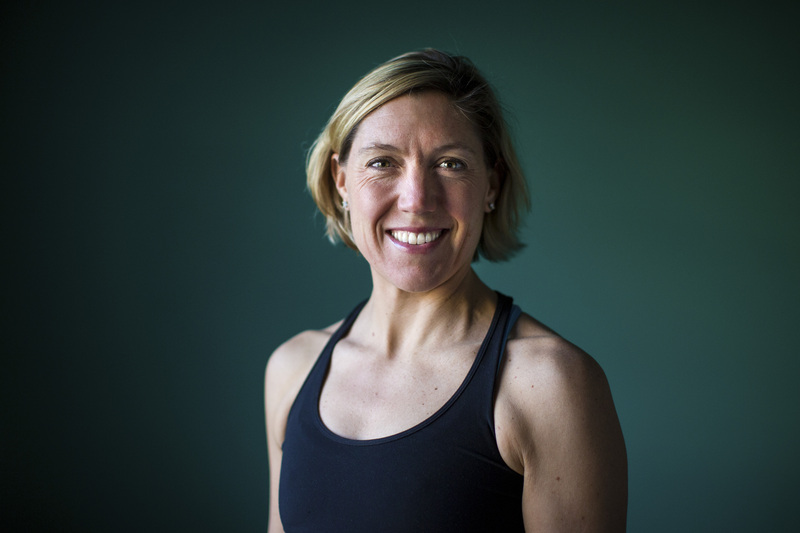 The former US Golf Association marketer picked up Baptiste Yoga on the advice of a friend, an ultra-marathoner, who suggested she take a class to ease a hip injury. “I said, ‘Yoga is boring. It’s a waste of time. It’s not a workout,’” Libby says. positive messages, laid-back instructors, and all-levels classes – sold her. “I was floored by the experience. The combination of a challenging workout and these amazing messages that were encouraging you to work hard and let go of things that are in your way….it goes together perfectly,” Libby says. Within six months, Libby went to get her Baptiste teaching certification. When her family moved to Nashville, she started teaching in gyms and in people’s homes. In 2012, her family moved to Greensboro, and there weren’t any studios that taught Baptiste. She knew no one in Greensboro. Yet everywhere she went, she met people who wanted to learn. She soon was running classes out of empty dining rooms around town. In a year, she had 50 students. But she still had no place for her own practice. In January 2013, Libby went to a Baptiste Yoga retreat, and met Shelley Lowther, owner of Dancing Dogs Yoga Studios in Georgia. Libby recommended Shelley open a studio in Greensboro. Shelley told her SHE should open one instead. Libby thought that sounded crazy. She was pregnant with her third child. She didn’t intend to open a new business – she just wanted a place to practice what she loved. But one by one, things started falling into place. Shelley offered to help her get the business started. Libby found a perfect State Street location. Four months later, DDYG opened. It’s been growing ever since – entirely by word of mouth. “We don’t advertise. It’s all community driven,” Libby says. Libby credits the success of the business on the community, of people sharing what they loved.